O God, eternal goodness, immeasurable love, you place your gifts before us; we eat and are satisfied. Fill us and this world in all its need with the life that comes only from you, through Jesus Christ, our Savior and Lord. Amen. The psalmist rejoices in psalm 78 – God provided for them food enough. And yet, all over the readings for today, it seems that no one is satisfied, no one feels that they have been given enough. The Israelites are there in the wilderness, they have been freed from their enslavement to the Egyptians. They watched in awe as the mighty hand of God brought plague after plague ultimately defeating the Egyptians without the Hebrews having to lift a finger. They watched as the Red Sea parted, bringing them safely to the other side, while the same waters drowned the Egyptian army. And now, here they are this morning. Victory has been handed to them on a silver platter. They have new lives to embrace and look forward to as they establish a nation as God’s chosen people. And what do they say? The food was better back there in Egypt. Let’s go back. Let’s be slaves again so that our bellies might be filled. Without hesitation, God the Deliverer becomes God the Provider. But God the Teacher is not finished. For the lesson on having enough still needs to be learned. For this flakey bread that they called manna (which is Hebrew for What is this?) will be covering the ground every morning. And to teach them about having enough, and trusting God to provide enough, God tells them only gather what you need for the day. Trust that there will be more the next morning. Of course, there are some slow learners in the crowd. They hoard some and, what to you know, when they go to get it out of their clay Tupperware containers, it is moldy and inedible. But, of course, there is fresh manna plenty, come with the morning dew. 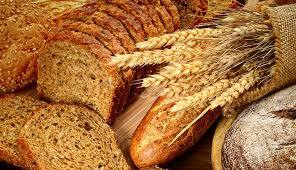 We pray “give this day our daily bread.” Do we trust that all will be provided, each day, every day? My actions certainly do not witness to trusting in God the Provider. I know, too often, I think that I do not have enough. I need to figure out how to get more. More. The people gathered on the lakeside sure wanted more. They had their fill of the loaves and the fishes. (We heard the famous story of the feeding of the 5,000 last week and it is referenced at the beginning of today’s gospel reading.) And now, this morning we see them trying to find Jesus so that they can have more. And Jesus takes advantage of the teachable moment to encourage all who follow him to desire the bread that feeds us eternally. Of course, the people turn it around to another “more” question. What more must they do to get this bread? And it comes back to trusting. Jesus uses the word believe. “You must believe in the one sent from God.” Speaking of himself of course. It isn’t about doing more, or acquiring more. It is trusting more in all that God gives us by grace through Jesus. In God, there are no questions of, am I doing enough, or am I trusting enough, or do I believe enough. The gift is there. The gift is ours. Given by grace. Just as the manna covered the field and as the loaves were enough to satisfy the huge crowd and still have left overs; so God’s grace is enough. In that we can put all our trust. But the people talking to Jesus still don’t have enough, in their eyes. And perhaps neither do we. They want signs. They want proof. If this teacher is going to get their trust, they want more. What will it take for us to say “that’s enough, I trust, I believe”? You gotta love that the folks talking to Jesus try to say that because Moses gave them the sign of manna in the wilderness, they trusted in him as a man sent from God. There is a little selective memory going on here. There are plenty of stories from those 40 years of wilderness wandering when the people questioned Moses’ God-given authority. Rebelled against his leadership. Wisely, Jesus didn’t get into that debate. He just reminds them that Moses didn’t produce the bread. That which satisfied, came from God. Likewise, he proclaims that he, too, is bread from heaven that satisfies us. There must have been some unsatisfied people in the Christian community in Ephesus. For the portion of this letter that we have heard this morning seems to be speaking directly to the kinds of concerns that arise when there is disunity caused by dissatisfaction. The writer doesn’t just remind them, he begs them to live as disciples of Jesus who provides. Not worrying about having enough but centering on those trust-filled attributes of humility and gentleness and patience, bearing with one another in love. There is no room for judgement of “is he enough, is she doing enough, are they giving enough.” The community is centered on the one who is enough and whose completeness unites us all, making us one body through the one Spirit living into the one hope that we share. For the one God is above all and through all and in all. Surely that is enough. With that plea for unity well founded, the writer continues encouraging the members of the community not to allow feelings of inferiority that further divide. Perhaps some were saying that one was more gifted than another because that one was apostle, or that one was a prophet. But they are reminded that all that we have been given, all that we are is for the purpose of building up Christ’s body of which we are members. Every element is needed. Every member is enough. The important thing is to be connected, working together for the sake of God’s kingdom. That is enough. As children of God, we do have an empire – God’s Kingdom. Is it enough? Fear-mongering preachers love to talk about threats to Christianity in today’s secular world. All this talk about having enough and trusting in the one who is the bread of life, leads me to assess that it is our culture of hyper-capitalism that continues to rule our country is the biggest threat. Its voice tells us that we never have enough and must keep consuming. It has even woven itself into many people’s understanding of Jesus’ message, and corrupted this message of enough, creating what we call the prosperity gospel. Jesus comes to us as the most basic of our needs – food. And he uses the simplest of foods to represent himself – bread. May our hunger be as basic and simple so that we rest in the assurance of knowing that God in Christ is enough. And may the Holy Spirit nourish our trust in Christ the true bread, that we will never hunger or thirst.